I am finally able to blog about this suit! I started working on a large batch of suits not long after I got home from the Gene convention. Then life happened; home improvement projects, internet problems, computer problems, Cub Scout day camp, I kept sewing during all of it, but I was unable to blog or participate much on my favorite doll boards. I have been going crazy! OK enough with the complaining Diane, on with the blog. 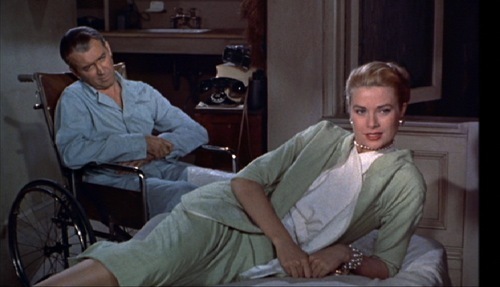 "Rear Window" is one of my favorite movies. 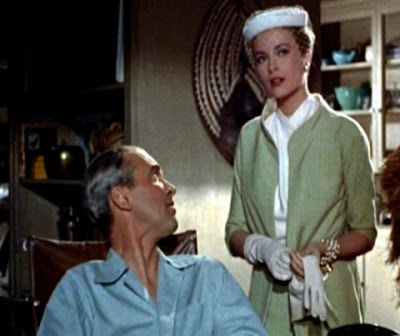 I love Grace Kelly's costumes, and the story is pretty good too. The suit is made out of green linen-like fabric. I wanted to use silk noil, but I couldn't find it in the right shade of green. Like before, I wish I had bought more of this fabric. I don't know why it is photographing so weird in the full body shots, it isn't shiny fabric. I was told it is probably the resolution of the picture. The fabric photographs much better close up. I must say I am pleased with how the hats turned out, since I don't consider myself much of a hat maker, but I am getting better. The hat is made out of white ultra suede, I hope I can remember how I made them if I ever want to make them again. The veil was the hardest thing on the hat to do. I made it so it can be worn down or flipped up. I lined the jacket and made the halter top out of white silk dupioni. The halter top was a challenge. I had to keep the bulk to a minimum at the waistline, while working with a lot of layers of the dupoini. I flipped the top snaps to add interest. 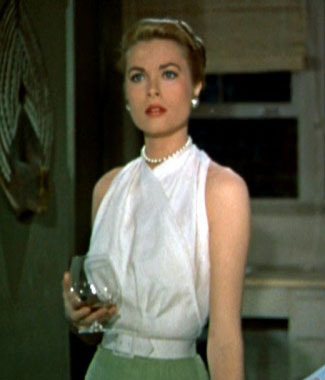 The next "Rear Window" costume is the black and white cocktail dress. I am working on a batch of them right now.